Kitty Kat Haven & Rescue is a Cat Lovers Dream Come True! How many of you have seen an article online about a cafe where you can go and play with cats as you enjoy coffee? 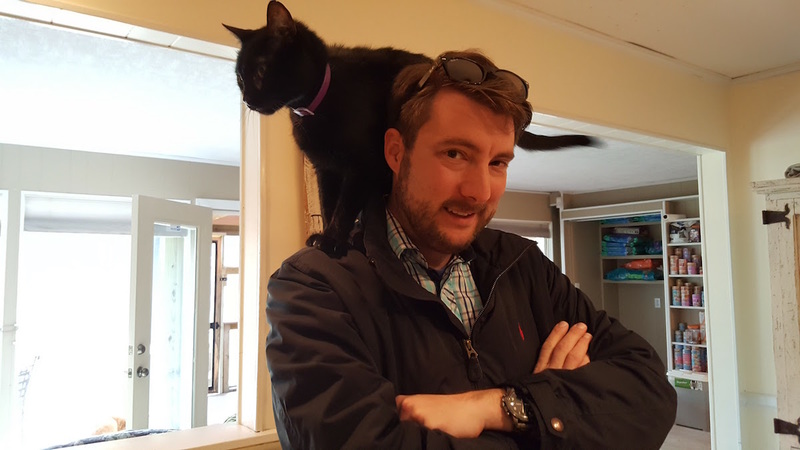 They usually come in the form of a shared article on Facebook with comments like, “We HAVE to go here!,” or “We need one of these in Bham, stat!” What if I told you that there is a house in Birmingham where you can play with about 30 cats? That's right! This place exists and it’s called Kitty Kat Haven & Rescue! Kitty Kat Haven is a no cage/no kill shelter for cats looking to be adopted to “FurEver” homes! (If you don’t like cat puns, then turn back now. You’ve been warned.) Located next to Alford Avenue Veterinary Hospital, Kitty Kat Haven is a house that has been converted into a shelter for cats. With the exception of some amenities for volunteers, the cats have free reign over the house! 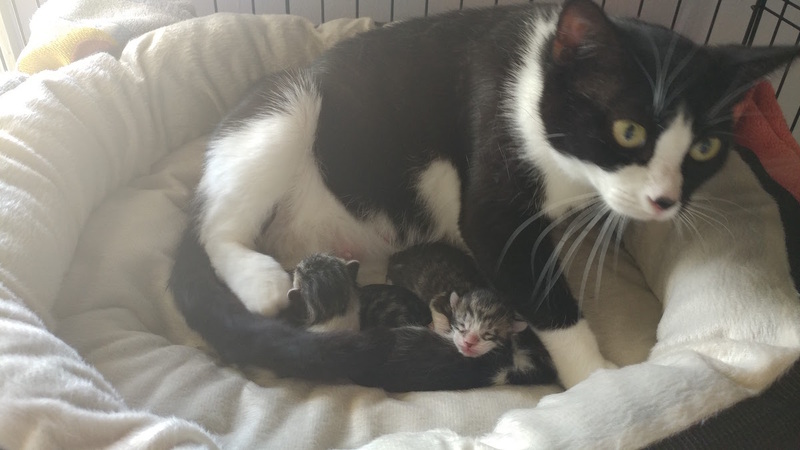 Started by Rita Bowman, the mission of Kitty Kat Haven is to save abandoned, stray and injured cats and kittens by providing them with complete vetting in a safe and loving environment. 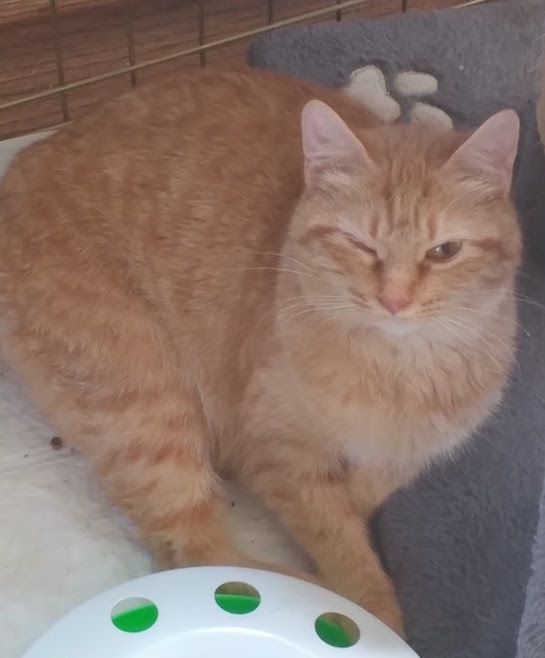 The cats are available for adoption to loving homes. 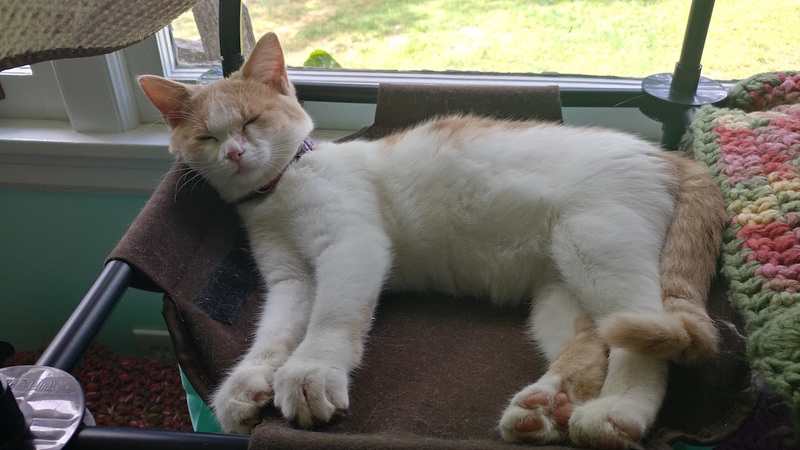 Kitty Kat Haven is a non-profit that depends solely upon volunteers and donations to feed and care for the cats awaiting adoption into forever homes. Rita Wrote a Children's Book! When you strike up a conversation with Rita, her passion for cats is obvious. While visiting, she took some calls on her phone. The calls were from people wanting to surrender a cat for various reasons. While she'd love to help every cat, Rita can't take them all and has to figure out the best way to handle each call. She works closely with other shelters so that together they can help as many felines as possible. The house itself has been fixed up and modified for the cats. Sure there are chairs, sofas, tables, and other “normal” furniture, but make no mistake the cats rule the house! Amber and I have a room in our own home dedicated to our 3 furbabies. 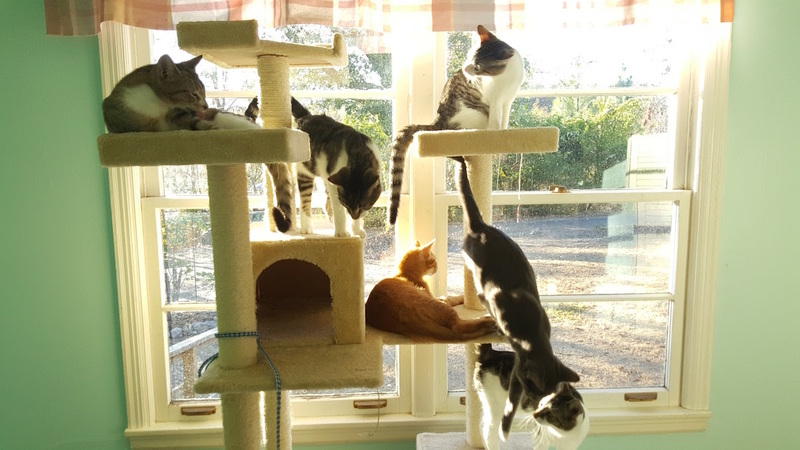 We call it “Kitty City” and it has two cat trees connected by a “catwalk”, a couple of smaller cat condos, a sunny seat, cat fountain, and LOTS of toys! This pales in comparison to what’s provided for the cats at Kitty Kat Haven! Amber and I have paid a few visits to Kitty Kat Haven and always have a great time! Most all of the cats roam free about the house. Any mother cats with kittens are kept in a separate room so that they can get extra attention and to ensure that all the cats are healthy. Yep, there’s a kitten/maternity room! 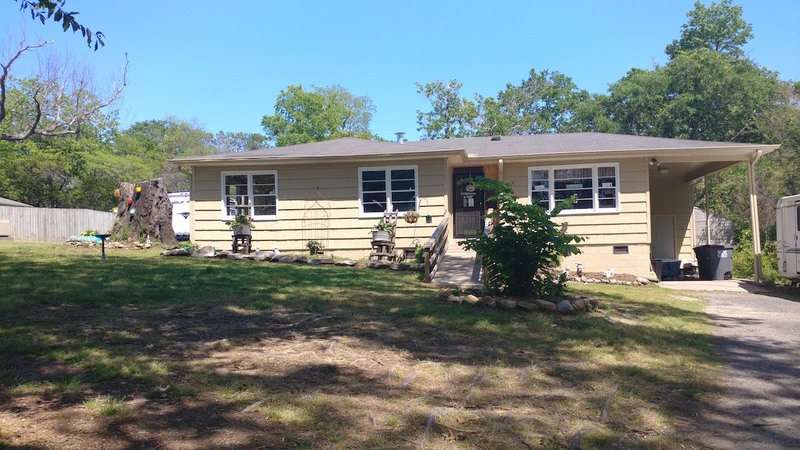 The house is kept very clean and is well maintained thanks to people who volunteer their time helping out. In one of the back rooms you can find a very special cat named "Jackie." Jackie had been found, shot in the back, but was rescued by Rita and a volunteer, Penny. Jackie's chances of survival were slim, but after an operation she is recovering nicely. Sadly, being shot left her partially paralyzed. Jackie doesn't let that slow her down too much. She is getting around alright and has her own area at the Rescue. You can read her story HERE. Jackie is just one example of how Kitty Kat Haven has helped to save cats that otherwise wouldn't have survived. Amber got to Hug LOTS of Cats that Day! When you arrive at Kitty Kat Haven it doesn’t take long before the cats showcase their individual personalities. Some are very playful, while others have claimed specific spots in the house that they observe from. The first time we stopped by I sat on one of the sofas and within minutes I had a cat in my lap, a cat by my side, and was getting “head-boops” from another cat. 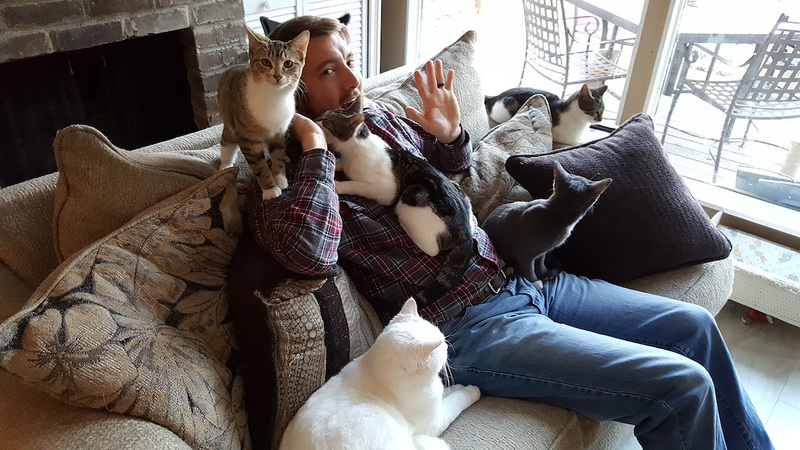 I swear they picked up on my “Cat Dad” vibe. In no time at all I had cats making biscuits on me with their cute toe-beans! The Catio is SO COOL! 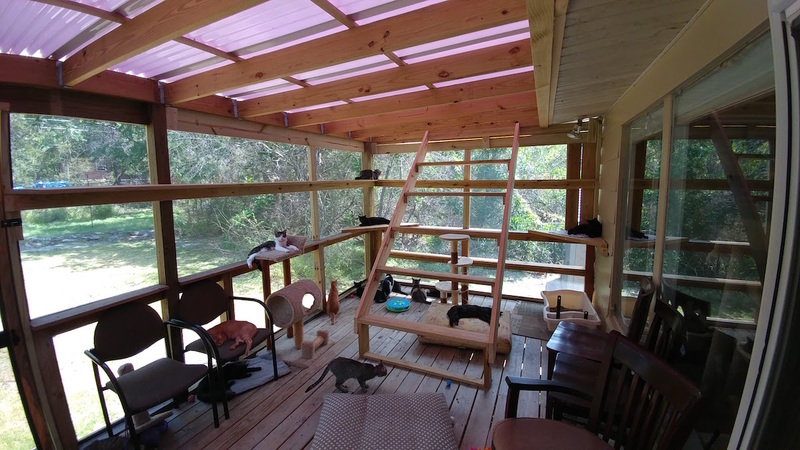 In late 2016 there was an addition built onto the house in the form of a screened in porch, or “Catio!” This allows the cats to get some fresh air as they run, jump, and tumble over the ramps and cat condos. 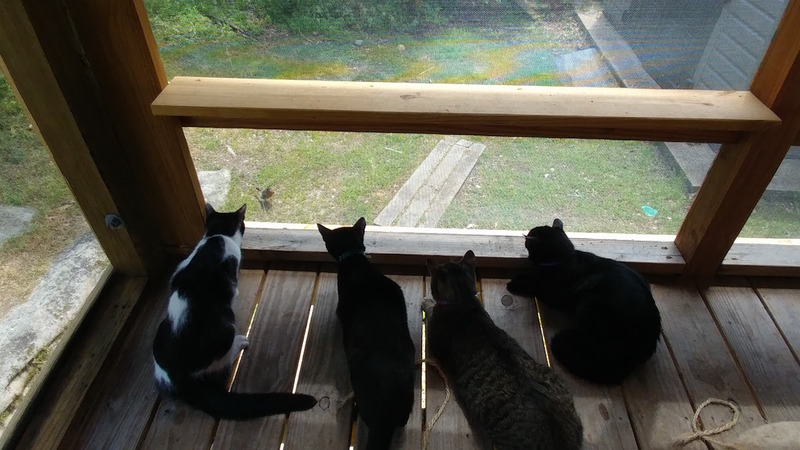 They also love staring at birds and chipmunks that pass by on the other side of the screen. 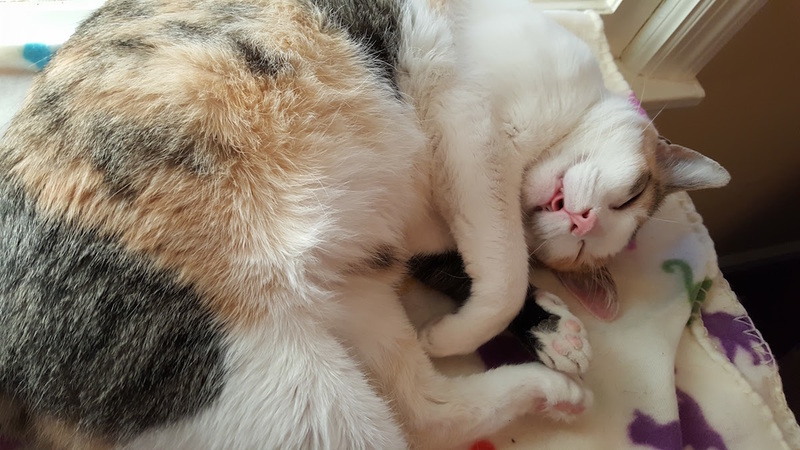 While these cats enjoy a great life here, the goal is to adopt them out so that they can bring their love and affection into the homes of others. While a great alternative to being caged up all day, or being put down, Kitty Kat Haven is meant to be a temporary stay and not a permanent solution. While most all of the cats are available for adoption, there are a couple of permanent house guests. One of these is Moses, an older black cat. He’s usually lounging around and observing the younger cats as they play with the toys that have been donated. Speaking of donations... Kitty Kat Haven & Rescue is a 501c3 that relies solely on donations and volunteers. The amazing Facebook community “Magic City Kitties” (which I’m sure many of you are members of) does a lot to help out, but Kitty Kat Haven can always use extra help! If you’d like to volunteer your time you can click HERE for more info. You can also donate food and clumping/scoopable cat litter as there’s always a need for it. The Haven goes through 80lbs of dry food, 7 cases of wet food, and 7 PAILS of litter each week! If you can’t lift a big bag of food or litter you can always make a direct monetary donation HERE. There’s also the option of shipping food, litter, and toys directly from Amazon! The address to ship to is 2113 Marlboro St. Hoover, AL 35226 . The Rescue even has it's own Amazon Wish List HERE to keep up to date on their current needs. There's truly no shortage of ways you can donate to this great cause! Just want to chill with these cool cats? That’s fine, too! Kitty Kat Haven is open to the public on Friday and Saturday from 12-4pm and Sundays 12-3pm. If possible, try to call ahead to set up a visit. 205.302.8883 If you want to adopt, the fee is $125 and covers vaccines, screenings, as well as having them spayed or neutered. The $125 covers what would amount to almost $350 in vet bills if you got a "free" cat. Amber and I once leaned the hard way that there's no such thing as a "free" cat. Trust us! Bird Watching is a Favorite Past Time! After spending an hour playing with these adorable cats you’ll be hard pressed not to take one of them home with you! So far Kitty Kat Haven & Rescue is averaging an adoption each day which is almost unheard of! 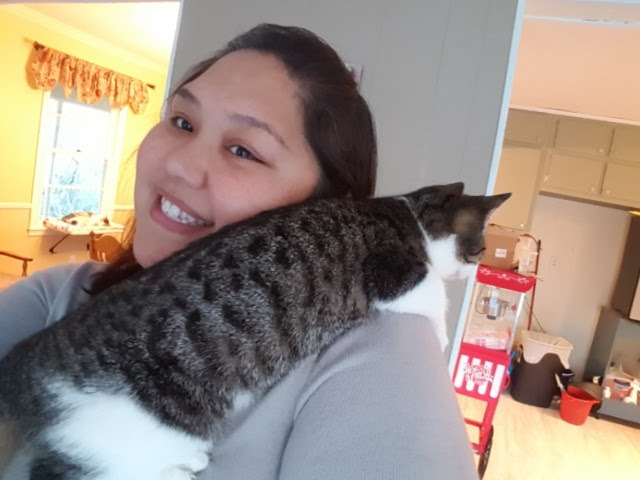 The PDF of the adoption application can be found HERE, and you’ll need a cat carrier when you pick up the newest member of your family. 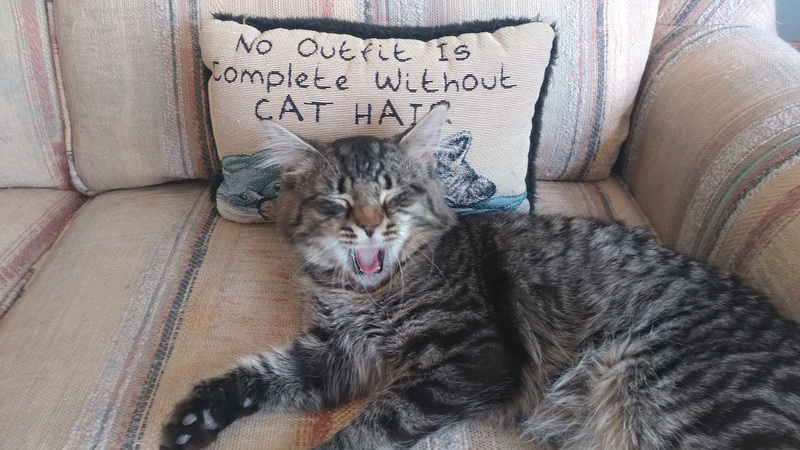 If you are a cat owner and haven’t already done so, join Magic City Kitties since they are such a positive community and a great resource for cat info in the Birmingham area! B-Metro did a great write up on them! 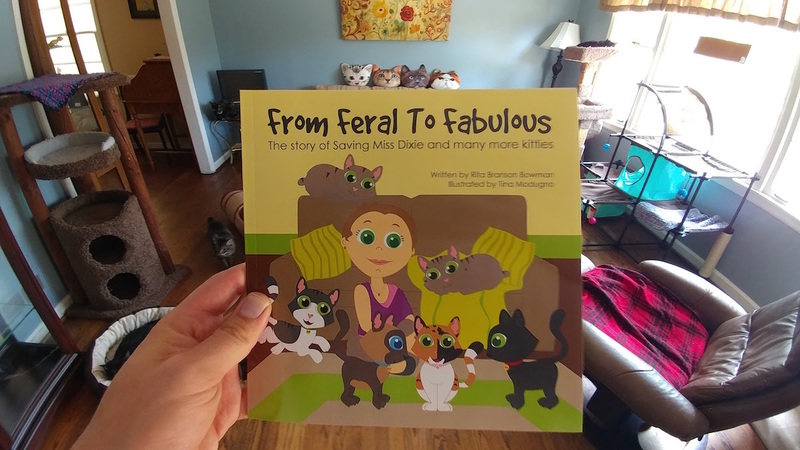 Kitty Kat Haven & Rescue is a hidden gem that has not only saved the lives of many cats, but has also brought joy into people’s homes by matching them up with the purrfect feline companion! 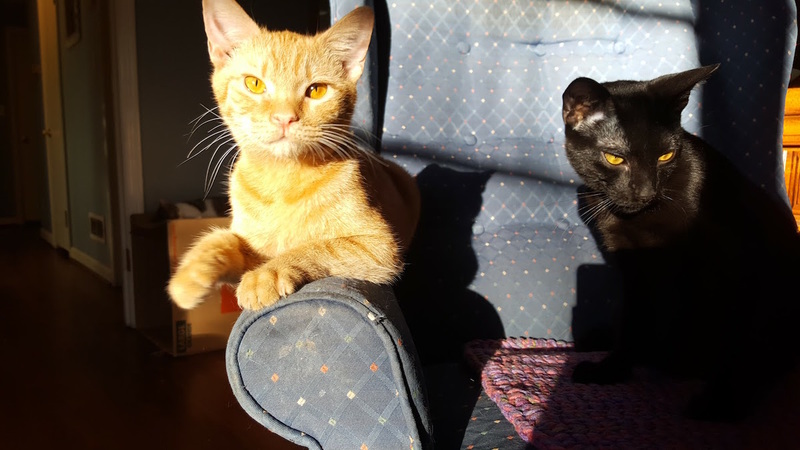 One of the easiest ways you can help out is to share this article and help raise awareness of the great work that Rita and Kitty Kat Haven & Rescue do! 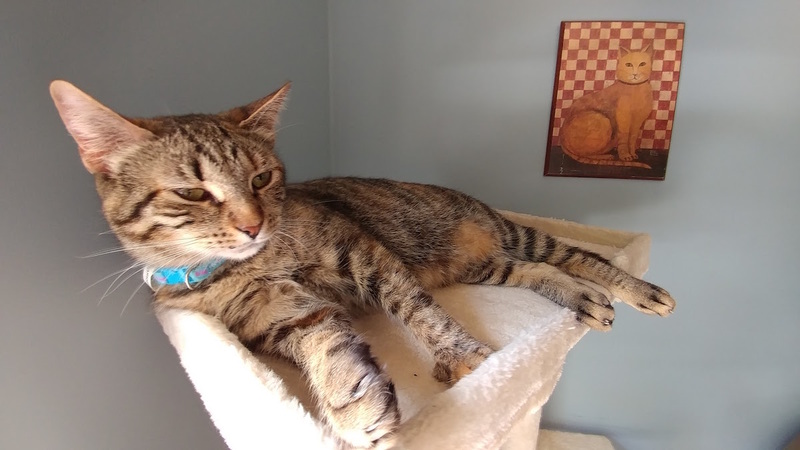 We know that cats don’t really have nine lives, so help us make sure that the residents at Kitty Kat Haven find a great “furever” home and live out a long and happy life! Big Spoon Creamery Opens New Avondale Storefront for Their Artisanal Ice Cream Creations!